Everybody needs a few grab and go breakfast items for busy mornings. 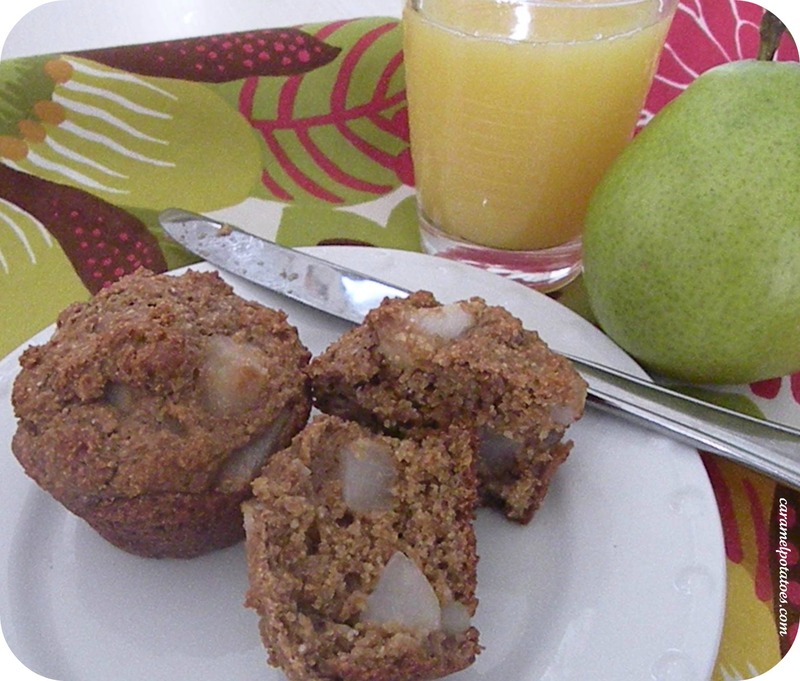 These wholesome bran muffins are moist and satisfying, filled with lots of fiber, and sweetened by tender pieces of pear. Perfect to grab on your way out the door! Best of all, they also freeze well so you can keep them on hand anytime. 2. Combine the cereal and bran in a bowl. Stir in the yogurt and let stand for 10 minutes. 3. In a separate bowl, combine the flour, brown sugar substitute, baking powder, baking soda, and salt. 4. Add milk, oil, egg, and vanilla to the bran mixture and stir to combine. Pour over the flour mixture and stir until just combined. Stir in the pears. 5. Divide the batter into 12 greased or paper-lined muffin tins. Bake about 25 minutes (until tops are golden and firm to touch). Let cool on rack for 5 minutes and then remove the muffins from the pan and cool completely. 6. Store in an air-tight container or freeze. Note: These muffins are not overly sweet (only 1/2 cup sugar), but the pear keeps them moist and naturally sweetens them. Make sure you have lots of pear in the mix (add a little more than two if needed). They also will be better the next morning once the yogurt and pear have moistened the mix! Don’t forget: Our Cinemark Movie Pass Giveaway ends Thursday 1/26 – enter here!